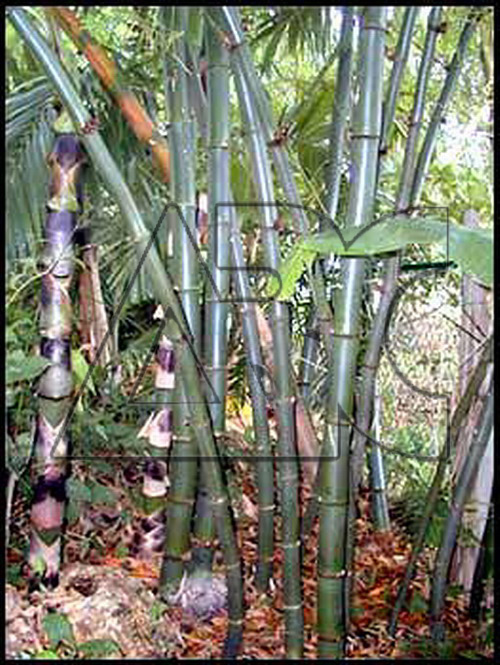 This is a vigorous, tropical bamboo common throughout the world. It grows in open clumps and its clumps grow a foot or more apart. Clump bamboos have underground stems that sprout vertical shoots much closer to their parent plants, growing slowly outward. The flowers are rather insignificant and often hidden among foliage on slender arching panicles.